If you believe in the powers of stones, will like to know that Onyx is known for attracting negative energies by absorbing them and dissolving them. Cool, right? This stone belongs to the family of microcrystalline quartz. 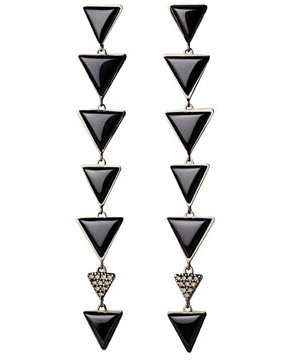 In jewelry, the stones entirely black are more usual. But there are onyx striped brown and white or black and white. 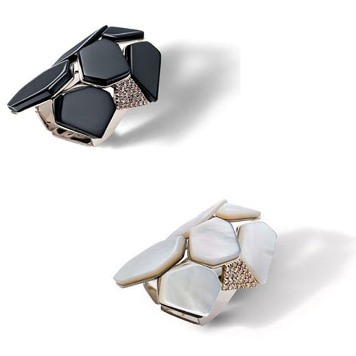 Since the times of Ancient Egypt, the Onyx is known for their supposed spiritual powers. The Greeks believed that it guarantee powers about loving partner. Among the Romans it was a stone of protection that helped get clear in time to make decisions. Among the Romans, the Onyx has become very popular to be used to carve seals – those we see in movies, used to mark the wax and close matches. How is a stone relatively easy to be carved, it came to be used in the 19th century, as a raw material for the creation of famous cameos. « The white in high. And with it, the nacreous!